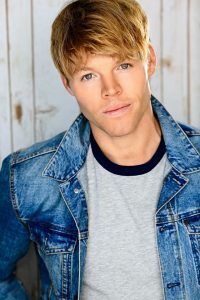 Check out the below interview with the lovely actor Ryan Poole star of the new festive horror film Mrs. Claus that stars Brinke Stevens! Andre w E: Hi Ryan, thanks for chatting with Gruemonkey! Andrew E: Can you tell us about Mrs. Claus, and your role in the film? Ryan: Mrs. Claus is an Indie Christmas Slasher film with an unexpected twist. 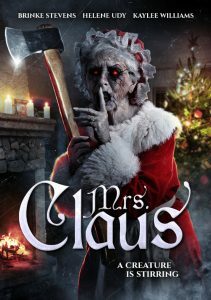 It surrounds a group of college kids that go to a party and are “stalked” by a killer dressed like yep you guessed it… Mrs. Claus. My character in the film was a fun, carefree, fratty D-Bag named Grant. You can’t even take Grant’s outfit seriously. I had a lot of fun with this role and hope I brought the character to life for Troy. 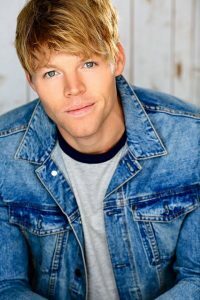 Andrew E: You brought Grant to life, his character was a highlight to me…so we have a lot of horror fans at GRUEMONKEY, what’s the hardest thing about making a horror movie? Ryan: I feel that as actors we don’t really see the hardships of making movies. I feel that the producers, writers, and directors see the hardships in making a horror film. I would say the hardest thing about making a horror film is not having time for table reads and establishing chemistry and relationships with the other actors and characters. Things are a lot harder on low budget projects, but the outcome and the end result is always so worth it. Andrew E: Can you tell us a funny memory from the set of Mrs. Claus? Ryan: Whenever Billy is in the room something funny is always guaranteed to happen. I remember Drew, Billy and I were up late one night and heard a LOUD sound. We went outside and noticed that someone crashed into the back of Derek’s car and took off. That was not funny at all. What is funny is that Drew, Billy and I decided to act like detectives and search around Houston for the car that hit Dereks. We were driving around for hours looking for a car with a missing front bumper. We had no luck. Andrew E: That’s a crazy story…You got to star alongside some real horror royalty, What was it like working with the legend Brinke Stevens? Ryan: Working with Brinke was such an amazing experience. She is a scream queen legend! I had a blast interacting with her especially with the scene when we “bump into” each other as I’m leaving the party. Brinke is not only a super talented actress, but she is an amazing person as well. I would love the chance to work with Brinke again. 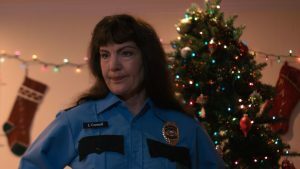 Andrew E: Do you think Mrs. Claus co uld return for another (sequel) seasonal slashfest? Ryan: The ending of Mrs. Claus definitely sets it up for a second one. That, of course, is up to Troy, but I personally would love to see a second Mrs. Claus happen! 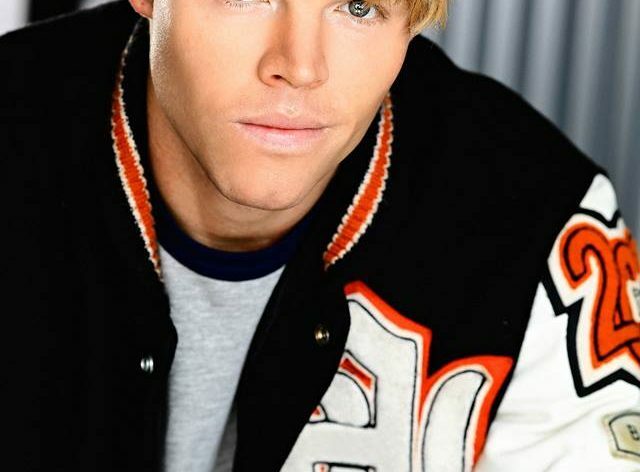 Hey Troy… can we bring Grant back from the dead for the second one? Andrew E: Favourite kill in Mrs. Claus? Ryan: All the kills in the movie were brutal and gory, but I would have to say my favorite kill from Mrs. Claus would have to be the candy cane down the throat. That was pretty gnarly if you ask me! Andrew E: Who have you stayed in contact with the most since filming ceased? 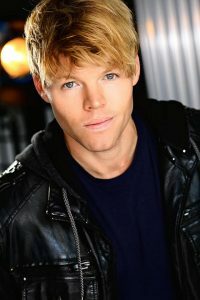 Ryan: I feel like the cast does a great job of staying in contact with each other especially on Instagram and Facebook. I stay in touch with Troy and Billy the most. Billy and I are really close. I see a lot of talent, determination, and drive in him. It’s good surrounding yourself with people that have good energy and passion, and Billy is one of those people. Andrew E: What have you got coming up next? Ryan: I am super pumped to announce a movie that will be released to the public soon called Black Pumpkin. Black Pumpkin is a horror film that we shot out here in Los Angeles. A curse (Bloody Bobby) was awakened in a small town, and you get to see who can survive a TERRIFYING Halloween night. There is a bunch of super talented actors in this film including Connor Weil who plays my brother. Together we make up the Barker bros (Judd and Ace Barker). Everyone had a blast shooting this film and I can’t wait to hear what everyone thinks of it. I also have a few other projects that will be released in 2019. You can check out my work on IMDb or just shoot me over a message on Instagram and I’ll let you know what I’m up to. Andrew E: Thanks for chatting to us – Last question, I promise – Do you have another festive horror favorite? Ryan: Besides Mrs. Claus now being on my list I would have to say Silent Night Deadly Night and Black Christmas. I am a huge fan of both Christmas and horror films so for Troy to have me in this film was a huge honor. Thank you Troy. Andrew E: Ok I lied – one more question, outside of the horror Christmas world – what’s your favorite Christmas movie? Ryan: Oh man, this is a tough question because I love Home Alone, Elf, Christmas Vacation, The Santa Claus, It’s a Wonderful Life and A Christmas Story. If I had to pick one though I would go with Christmas Vacation!! “Merry Christmas, The Sh*tter was full” haha. Absolute classic. Andrew E: Thank you so much for chatting us! Ryan: Andrew, I can’t thank you enough for having me, and I genuinely look forward to the next interview!